Flour, bakery mixes, bakery pre-mixes, packaged and processed pulse crops, mill feeds, pet foods, frozen and par baked doughs, pancake mixes, biscuit mixes, cake mixes, cookie mixes, organic flour, organic bakery mixes, organic bakery pre-mixes, organic packaged and processed pulse crops, organic mill feeds, organic pet foods, organic frozen and par baked doughs, organic pancake mixes, organic biscuit mixes, organic cake mixes, and organic cookie mixes. 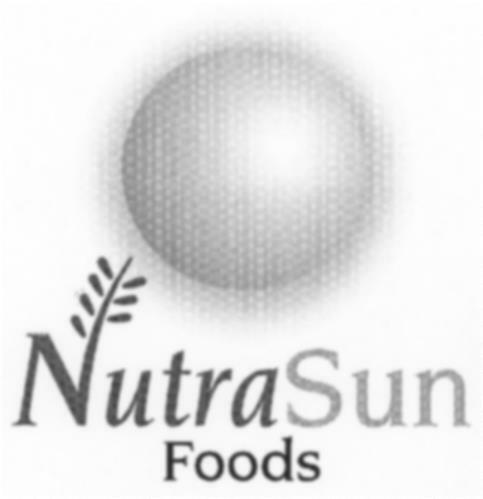 On Tuesday, July 8, 2003, a canadian trademark registration was filed for the above pictured logo by NutraSun Foods Ltd. 333 Main Street, 22nd Floor, Winnipeg, MANITOBA, CANADA R3C4E2. The Canadian IP office has given the trademark application number of 1183994. The current status of this trademark filing is Registration published. The correspondent listed for is PITBLADO LLP of COMMODITY EXCHANGE TOWER, 2500 - 360 MAIN STREET, WINNIPEG, MANITOBA, CANADA R3C4H6 The trademark is filed in the description of Flour, bakery mixes, bakery pre-mixes, packaged and processed pulse crops, mill feeds, pet foods, frozen and par baked doughs, pancake mixes, biscuit mixes, cake mixes, cookie mixes, organic flour, organic bakery mixes, organic bakery pre-mixes, organic packaged and processed pulse crops, organic mill feeds, organic pet foods, organic frozen and par baked doughs, organic pancake mixes, organic biscuit mixes, organic cake mixes, and organic cookie mixes. .
Mark Disclaimer: The right to the exclusive use of the word FOODS is disclaimed apart from the trade-mark. (1) - Flour, bakery mixes, bakery pre-mixes, packaged and processed pulse crops, mill feeds, pet foods, frozen and par baked doughs, pancake mixes, biscuit mixes, cake mixes, cookie mixes, organic flour, organic bakery mixes, organic bakery pre-mixes, organic packaged and processed pulse crops, organic mill feeds, organic pet foods, organic frozen and par baked doughs, organic pancake mixes, organic biscuit mixes, organic cake mixes, and organic cookie mixes.